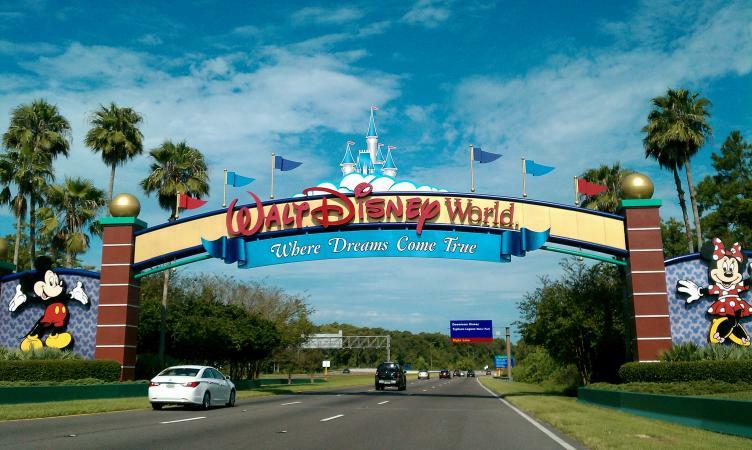 Due to the wide assortment of Walt Disney World vacation packages available for first-time and repeat visitors, everyone can find something to suit their needs. You'll find a menu of Disney park activities, resort hotel features, and dining experiences that virtually walks you through a seasonal, customized package planning process. It's important to plan your Disney World Orlando trip with the understanding that no one can see and do it all. Walt Disney World in Orlando, Florida is the global leader among theme parks, annually attracting millions more visitors than any other. The enormous Walt Disney World Resort consists of four theme parks-Epcot, Magic Kingdom Park, Disney's Animal Kingdom Park and Disney's Hollywood Studios-plus two water parks: Disney's Blizzard Beach and Disney's Typhoon Lagoon. Book your entire vacation on a "Magic Your Way Package" via the Walt Disney Travel Company to receive valuable perks and handy conveniences. Before adding in flights and insurance with your accommodation, quick meal dining plan, and Disney World admission tickets to a different park each day, a sample 2017 package (seasonal value dates do not include Thanksgiving and Christmas periods) for a family of four (children under age 10) at a Disney All-Star Resort runs $128 per person, per day or $93 per person, per day without the dining plan. 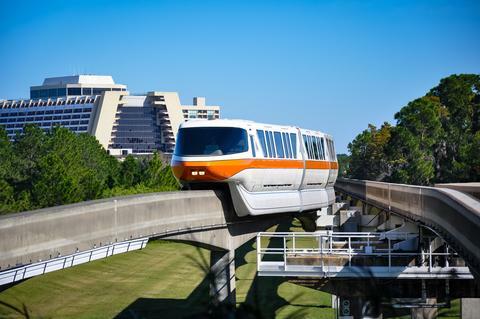 Be sure to reserve your complimentary Disney's Magical Express from Orlando International Airport (MCO) to bypass baggage claim, get to your hotel at no cost, and have your luggage delivered too. More Magical Extras come in the form of a free round of mini-golf plus discounts on bowling, attractions, dining, and shopping. You're paying up a bit for the stress-free, hassle-free treatment from Disney official hotels. On the other hand, staying at a Disney resort property could eliminate the expense of a rental car because benefits include complimentary luggage delivery from the airport to your hotel room; airport transfers; and ferry, bus, or monorail service to the theme park gates. 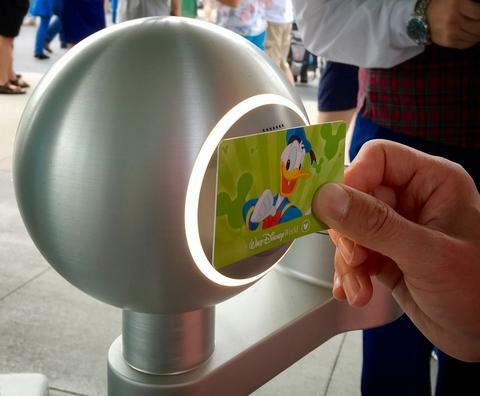 The booking site allows you to customize meals, park visits, and FastPass+ experiences, a useful enhancement that permits Walt Disney World Resort Hotel guests to reserve access to popular attractions and entertainment as far as 60 days in advance. Every Disney hotel guest receives a personalized MagicBand for My Disney Experience, an easy way to manage your stay that even unlocks your hotel room door. Another perk for Disney resort property guests is Extra Magic Hours, providing early or late admission to select attractions, entertainment, stores, and restaurants. Enjoy your last day in the parks unencumbered by baggage because Disney provides airline check-in for you and your luggage right in the hotel lobby. Disney suggests you begin by browsing online among 32 Disney Resort accommodations categorized by deluxe, moderate, and budget hotels or campground. Splurge on a deluxe villa, spread out in a family suite, bunk up in a bungalow, or capture the outdoor magic under the stars at a Disney campground. Check official "value dates," for significant savings scattered throughout the yearly calendar. To determine the ideal accommodation type and location, select your dates, consider budget, and decide how many days you want to spend in each Disney park to narrow down your selection. Also decide whether you require a kitchen and laundry facilities. Although your vacation means getting away from household chores, meal planning is still important, as the cost of eating out and grabbing snacks can make a sizeable dent in the budget. Since Disney restaurants run the gamut from quick counter service to moderate to fine dining, check out the three different Disney Dining Plan options for cuisine types, themed meals, pricing, and reviews to see whether this pre-purchase plan will pay off for you. For 2018, dining plan packages (tax included) range from $52.50 per day, per adult ($21.74 children ages 3-9) to $116.25 per day, per adult ($39.99 children ages 3-9), depending on the caliber of restaurants. 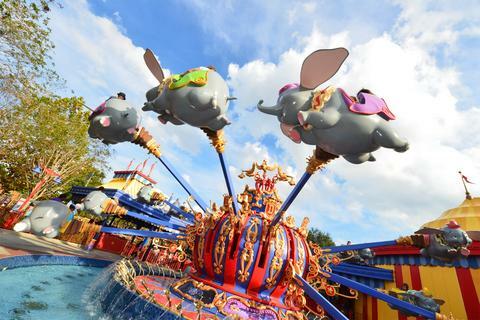 Mickey Mouse ears and pint-sized princesses are familiar sights at Disney theme parks, but kids aren't the only ones eager for fun among the 54 million visitors a year who pass through the gates of Disney World. It was Walt Disney, the visionary who built this happy place, who said, "Adults are only kids grown up, anyway." Are you looking for the very best Walt Disney World has to offer? When you book a Disney VIP Tour or a club-level room or suite, you'll be contacted by a Disney Signature Services Cast Member to assist with other elements of planning your vacation. Perhaps you'll opt for a Minnie Mouse-themed car driven by a Disney Cast member, trek on a wildlife nature experience, book a Highway in the Sky Dine Around aboard the monorail, or arrange a celebratory dessert party with a cast of characters. For fine dining, California Grill atop Disney's Contemporary Resort is popular for its cuisine and its view of the fireworks at the Magic Kingdom. If you eat early, they'll invite you to return (show your receipt) to enjoy the sparkling display from the lounge or catwalk outside the restaurant. Stretch your dollars on Disney admission tickets, meals, entertainment, transportation, and souvenir purchases with helpful tips and savvy advice. Scan the Disney Special Offers, Deals & Discounts page regularly or create an account to find additional offers, including up to 25 percent seasonal discounts on Disney hotel rooms. Other money saving ideas include programs for military families, use of bank and credit card reward points, memberships, Florida resident discounts, annual passes, off-season deals, and more. Once you're inside the parks, make every minute count by using a free app that gives wait times at popular rides and attractions, as well as parade and fireworks times. Family fun has been at the core of Walt Disney's vision for his theme parks from the start. The only problem is too much fun and not enough time, so Disney suggests a park a day, or a minimum four days' stay for those who can swing it. You can save $20 when you buy theme park admission tickets for three days or longer. The 4-Park Magic Ticket is a deal at $79 per person per day, plus tax, subject to seasonality. Keep family budgets in line by looking at two properties Disney proposes as good value for up to six guests: Disney's All-Star Music Resort family suites (the one with the guitar-shaped swimming pool!) and Disney's Art of Animation Resort. Parents may want to have a look at Disney's own Mom's Panel forum for family-related conversations. Get more information from a call center open from 7 a.m. to 11 p.m. (Eastern Time) at 407-939-5277 for assistance with Disney vacation package planning. Seniors love Disney World too. A recent survey indicates that one in five grandparents have been on a Disney vacation with their grandchildren. This fact is no surprise to Disney hoteliers, who can point to several resort properties that are ideal for multi-generational family groups. Disney's Old Key West Resort has villas to sleep up to nine, full kitchens for all those hungry musketeers, and a ferry boat to Disney Springs for outdoor shopping, dining, and entertainment. At Disney's Animal Kingdom Lodge, suites and villas accommodate eight. Parents may arrange supervised playtime at Simba's Clubhouse and grandparents can observe serene wildlife scenes when wildly excited grandchildren become exhausting. If your extended family includes furry four-legged members as well, Disney has a daytime and overnight pet resort, too. For newlyweds, it's a reminder that dreams do come true as fireworks light up the evening sky above Cinderella's Castle. You can catch the show from the romantic grounds of the deluxe Victorian-style Disney Grand Floridian Resort and Spa, a favorite among couples. In the atrium lobby, live jazz, Dixie, and Disney tunes hold sway, while at Victoria & Albert's, an intimate dinner setting is enhanced by a harpist. When twosomes aren't exploring the Magic Kingdom (only one stop away on the iconic monorail), they may be found relaxing in a poolside cabana, heading for a couples massage appointment in the spa, or casting off on a sailing adventure on the property's Seven Seas Lagoon. Book direct via Disney or a specialist travel agent. Get out into the great outdoors. Moderately priced cabins at Disney's Fort Wilderness Resort & Campground accommodate up to six people, each equipped with full kitchen, grill and patio. Corporate groups and family reunions alike can bond over Mickey's Backyard BBQ, Hoop-Dee-Doo Revue, Chip 'n' Dale's Campfire Sing-a-Long, horseback riding, archery, bike rides, and other "the-more-the-merrier" activities. There are several other reliable places to get customized packages built around your wish list. Specialist travel agents, online travel agencies (known as OTAs), and airlines serving Orlando offer packages with flights and also with Disney cruise options. If you're close enough to create your Disney World visit around a road trip, or you're driving to Orlando in an RV, an Authorized Disney Vacation Planner is a good place to begin. Specialist travel agents trained in Disney destinations and products have earned this designation and must refresh their knowledge to retain the status. There's no additional cost to you to use these agents' services, ask questions, obtain a quote, or build a customized vacation package. They will often have special offer packages available or you can ask to be contacted when one pops up as they'll be the first to know. Enter your zip code to find an Authorized Disney Vacation Planner near you or select one that's available online. Search your preferred dates for packages including Orlando flights, hotel, taxes, and fees on travel websites such as Travelocity, Expedia, Priceline, and Orbitz. Typically, the site's deal of the day will come up first and this is always worth a look. If time allows, conduct your search more than once and create an alert for price drop updates, as prices change frequently due to availability and demand. Alaska Airlines, JetBlue, Southwest, American, United, and Delta are among the major domestic carriers serving Orlando International Airport. Each airline's website has a "vacation" or "package" button on their booking page directing travelers to vacation packages incorporating flight plus hotel and/or car rental priced on a per person basis. Simply enter your home town airport to get started. Because everybody loves Mickey Mouse and vacation getaways, why not extend the magic and fun? 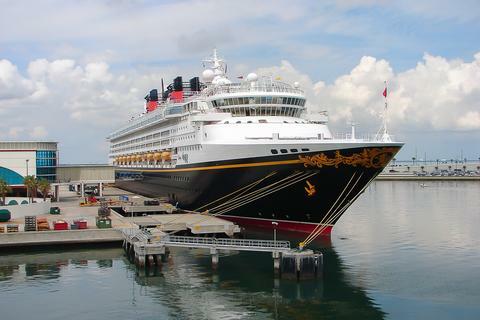 When your Disney Cruise Line Vacation is in or out of Port Canaveral, just an hour east of Lake Buena Vista, you can add a pre- or post-excursion to Disney World. Continue the theme at Castaway Cay, Disney's own private island paradise in the Bahamas, an exclusive playground reserved for Disney Cruise Line guests. Choose a 5-night cruise to the Bahamas, a 7-night Caribbean cruise, or a transatlantic voyage. Authorized Disney Vacation Planners have plenty of experience with these land-and-sea combinations. Disney World will ensure that plenty of fun and magic awaits you in the Magic Kingdom and beyond. To be certain that you maximize the experience, the best advice of all is to plan well ahead. With an average of 148,000 people per day passing through the gates to Disney World, making last minute arrangements isn't likely to reveal the ideal package for your vacation.